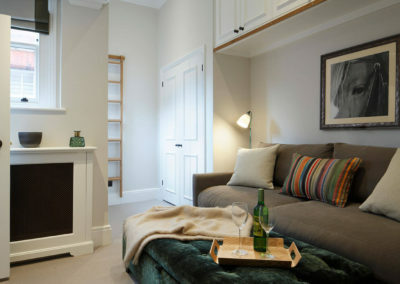 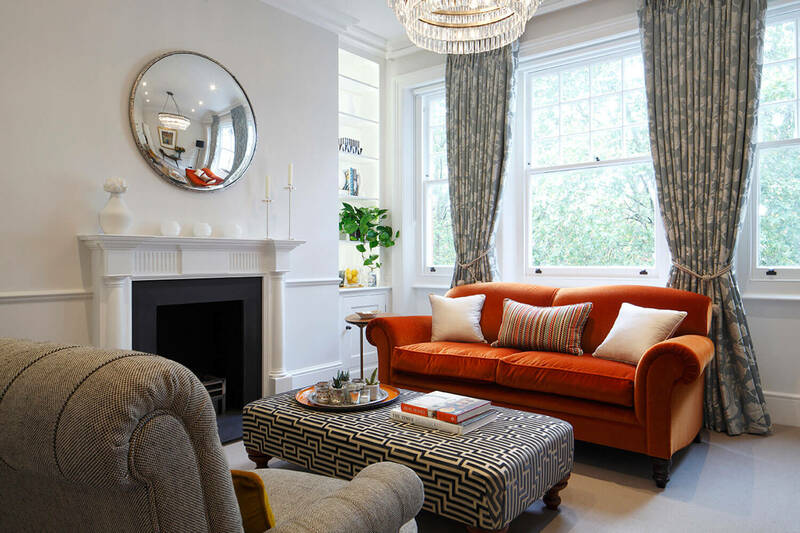 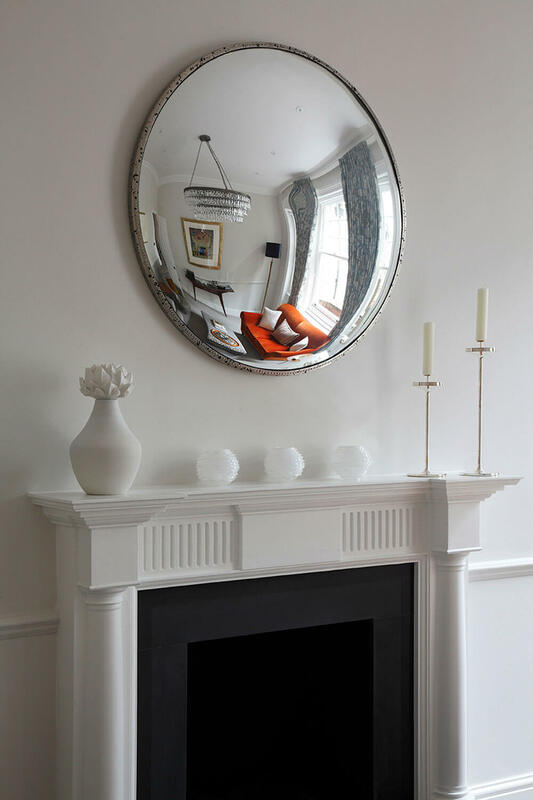 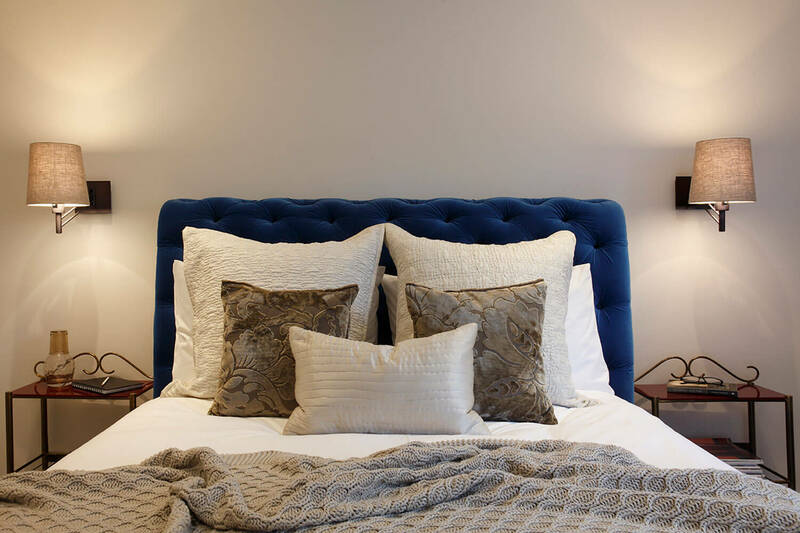 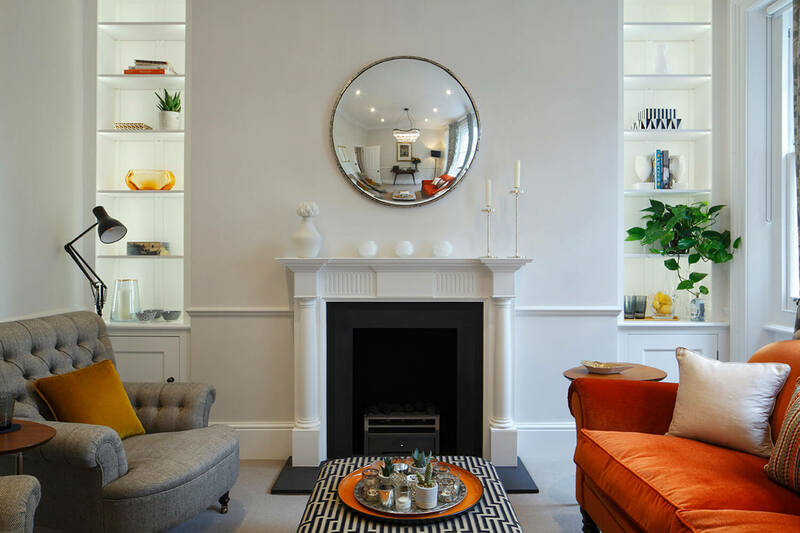 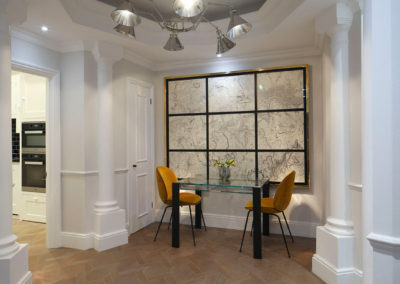 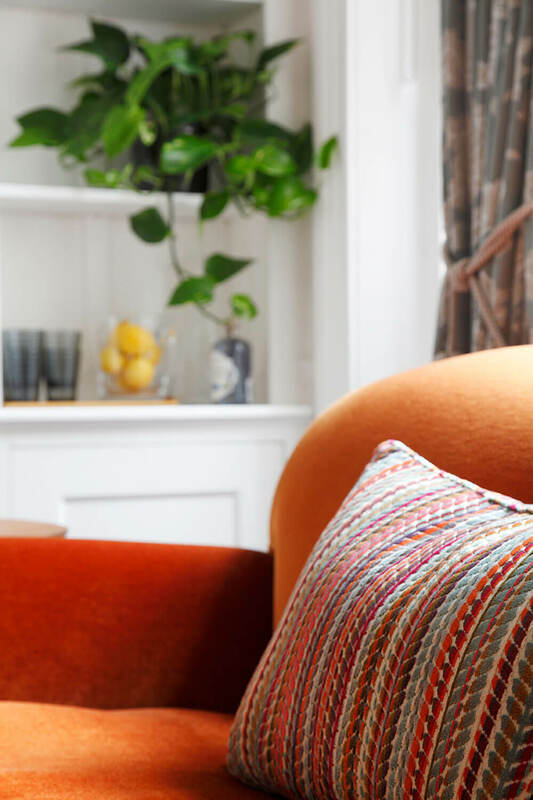 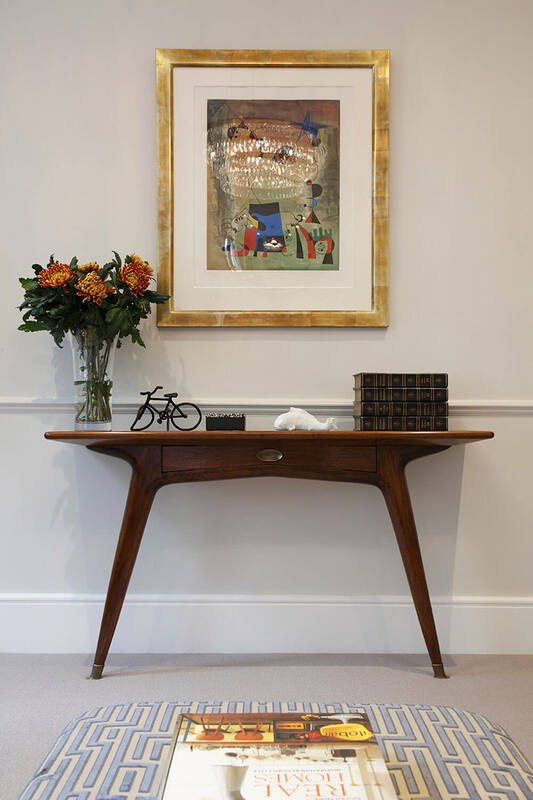 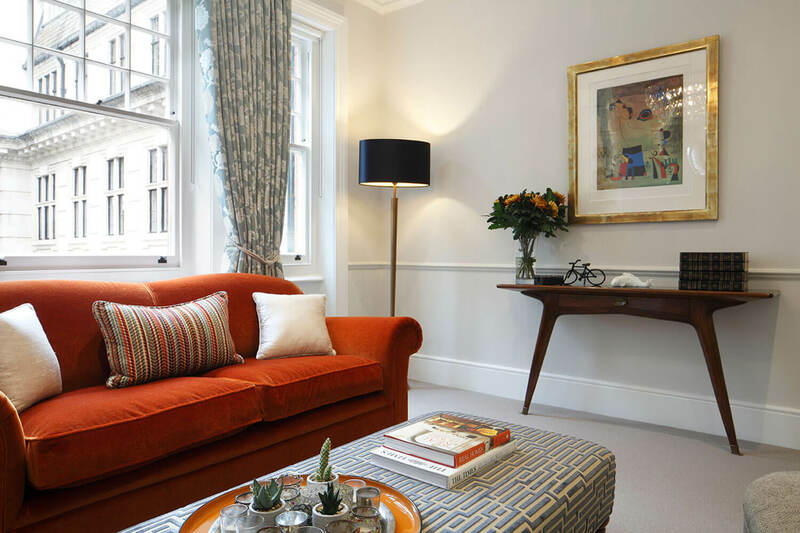 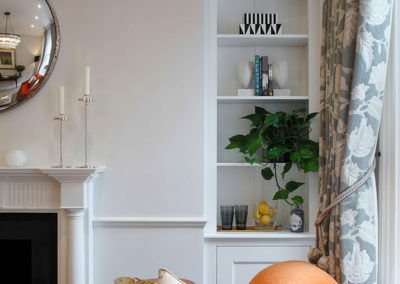 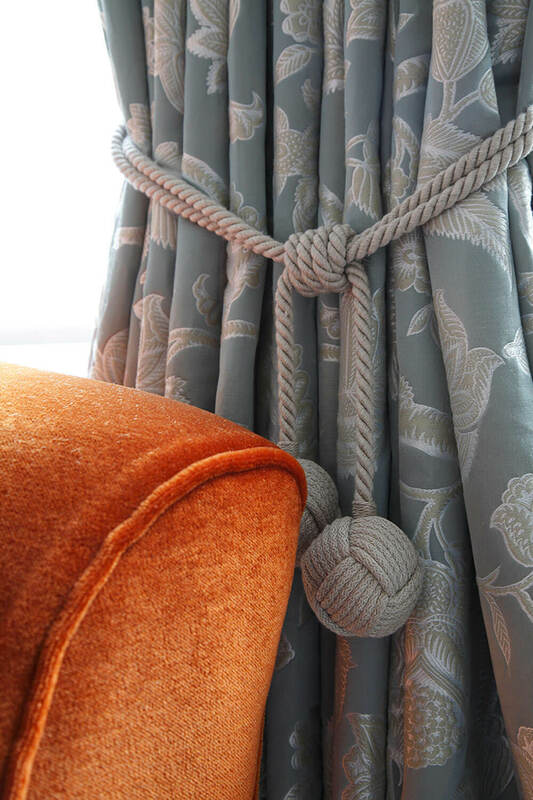 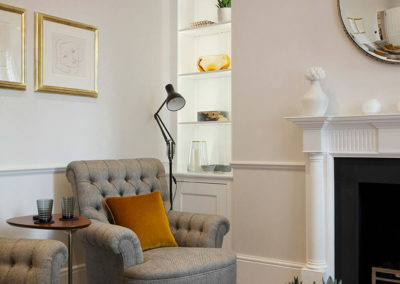 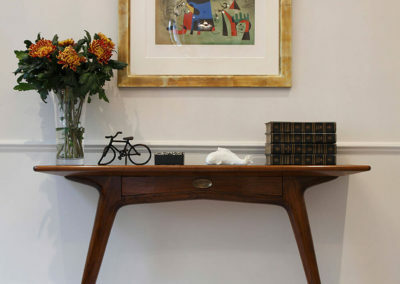 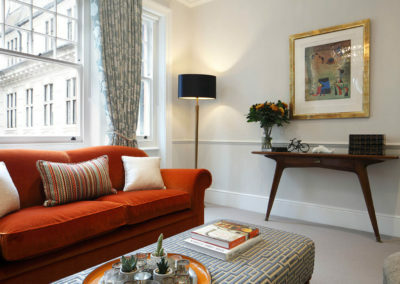 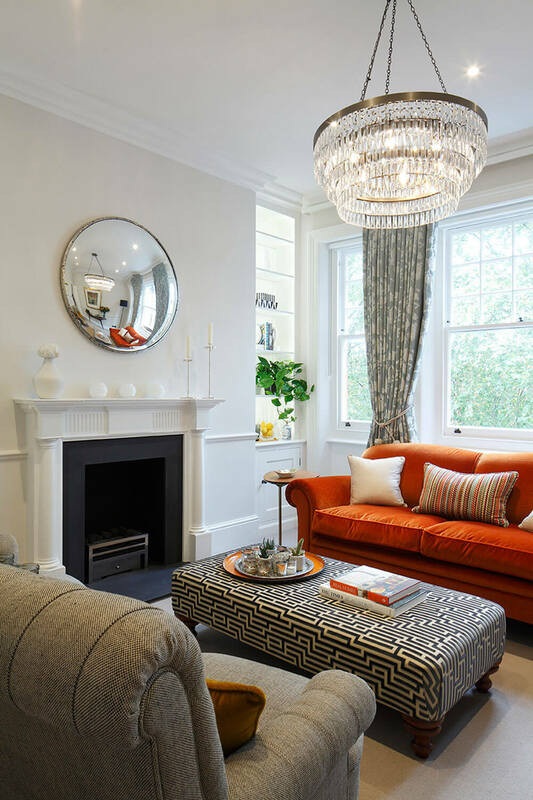 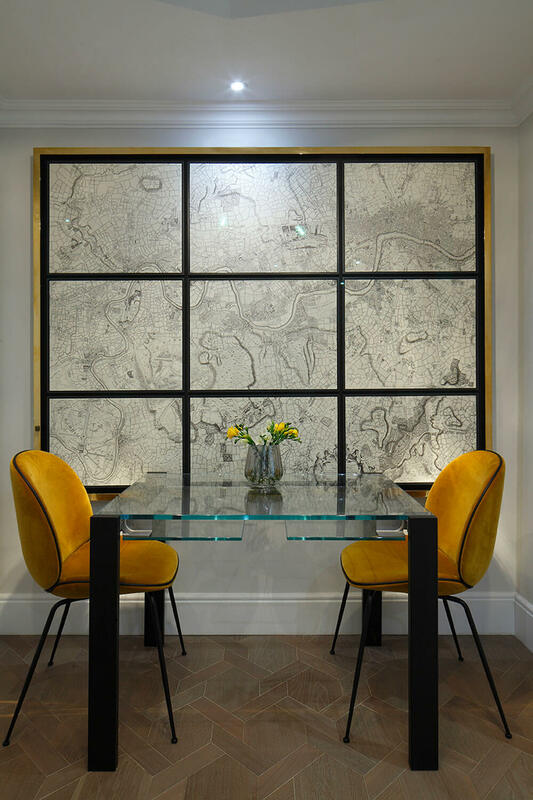 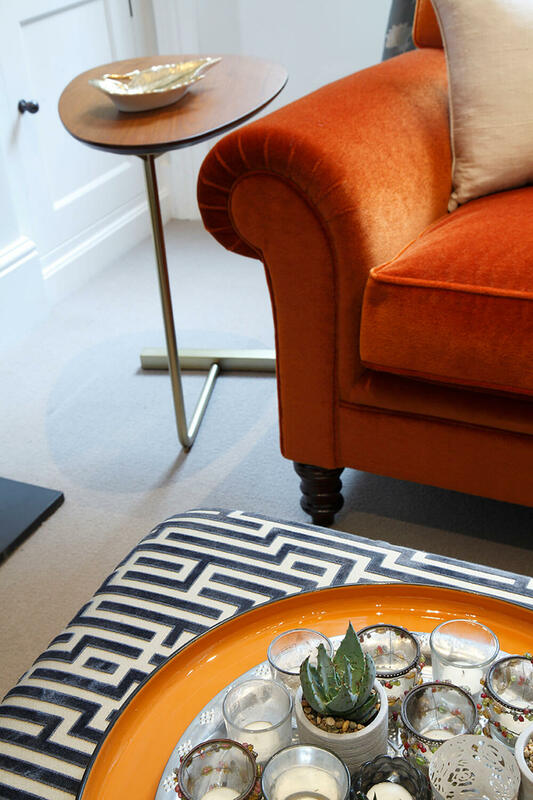 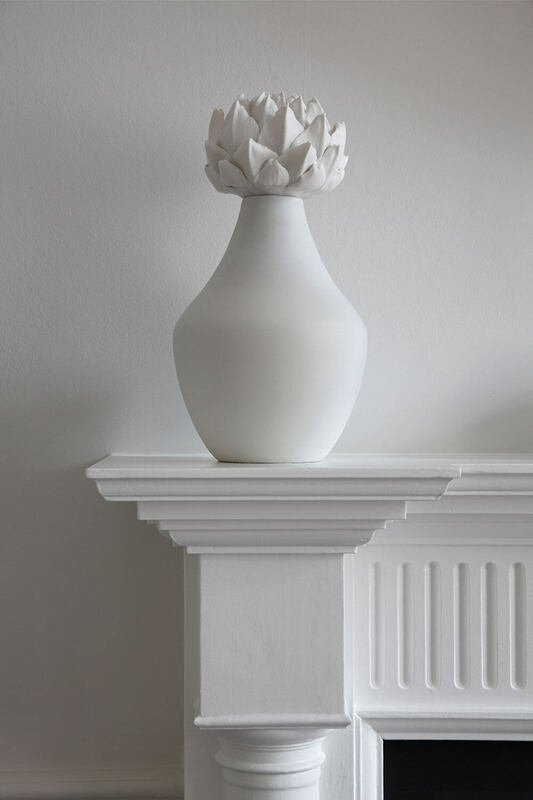 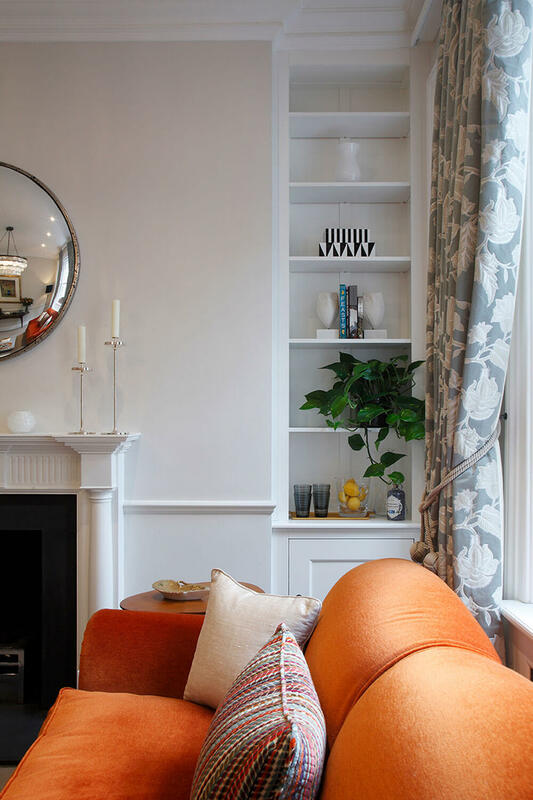 Overseas clients instructed us to fully refurbish and design a beautiful ‘pied a terre’ in which they could enjoy, when visiting London from their home in the USA. 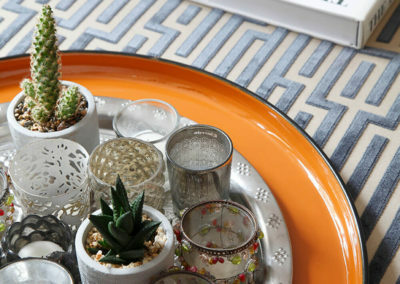 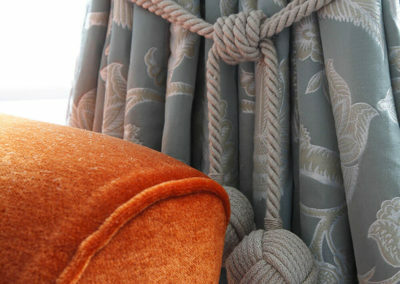 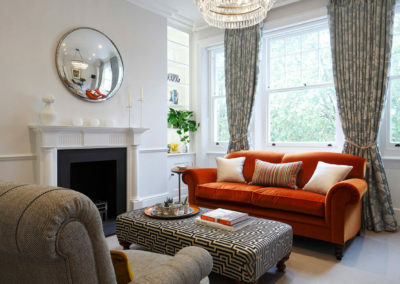 The clients were a husband and wife, with two grown up daughters, who would visit them there from time to time. 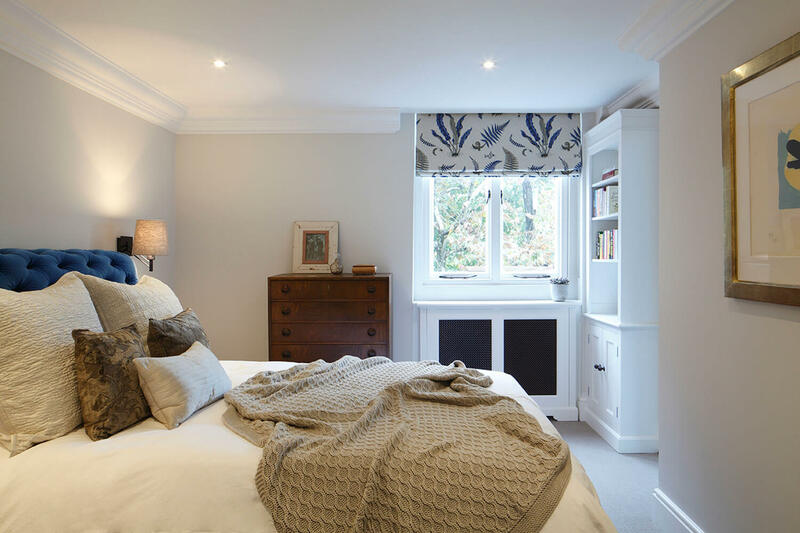 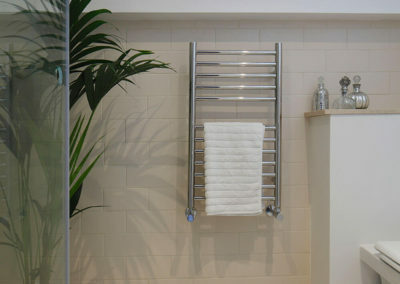 The property was two bedrooms with two bathrooms, including a new hand built kitchen, new shower room, bathroom and bespoke carpentry throughout. 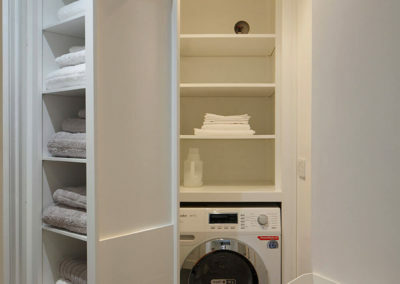 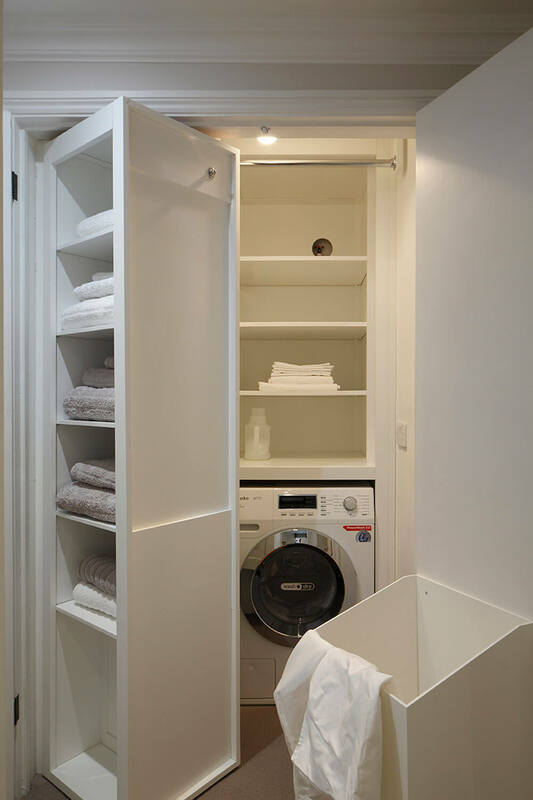 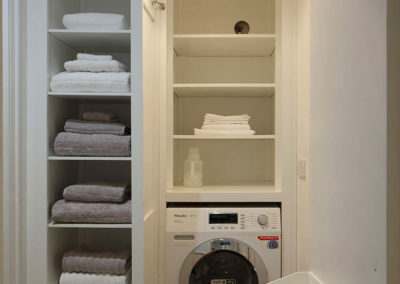 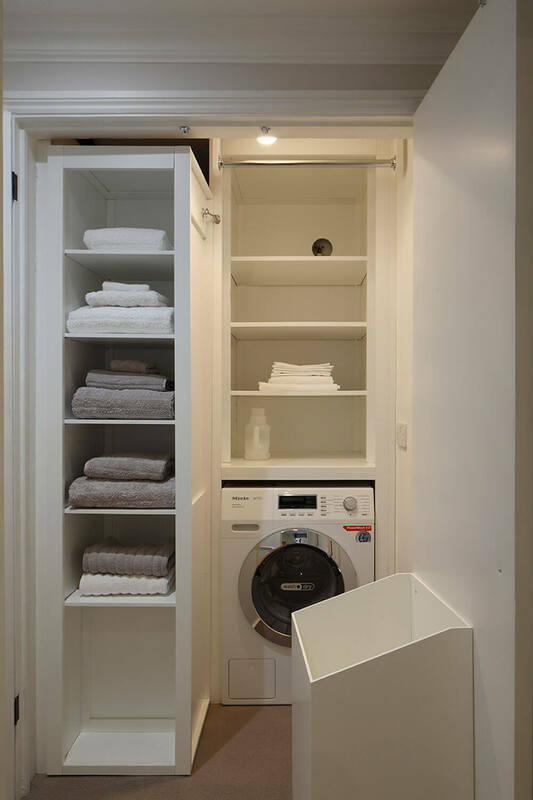 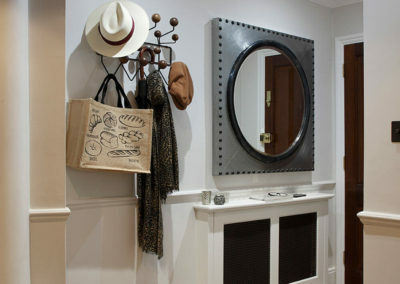 We optimised the storage space throughout and created an essential utility cupboard. 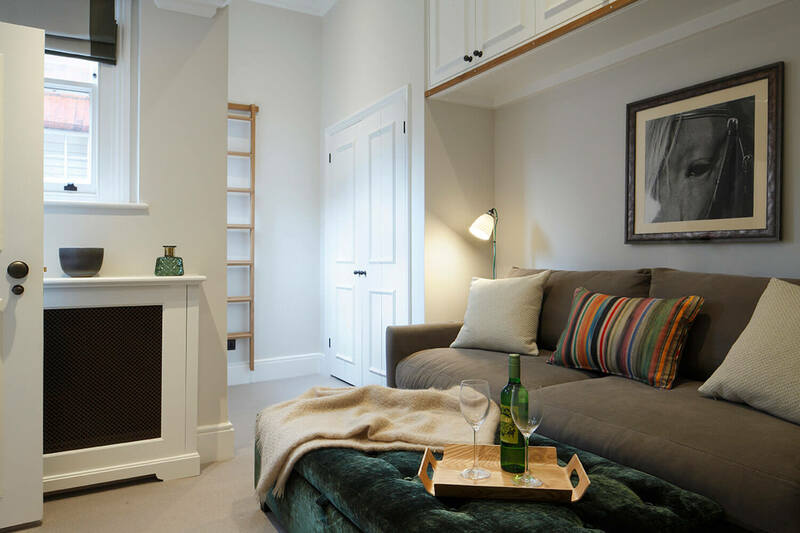 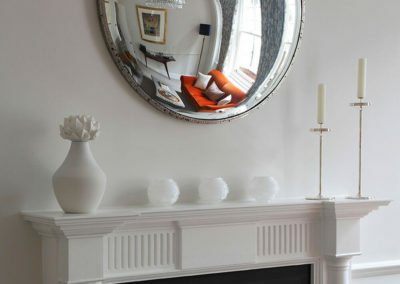 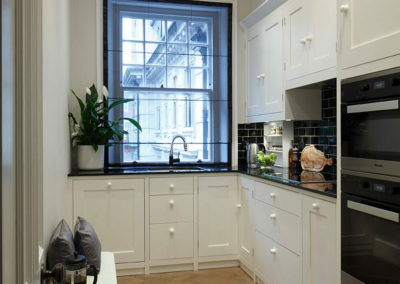 We balanced contemporary furniture pieces with traditional shapes and soft edges, within this compact apartment. 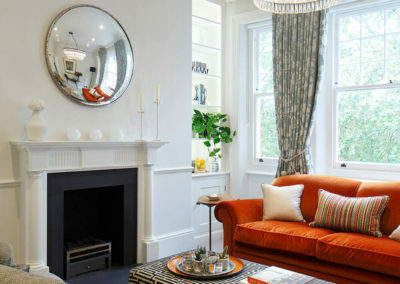 The burnt orange sofa, reflected the colour of the bricks in the buildings beyond the window, which created a sense of warmth and light. 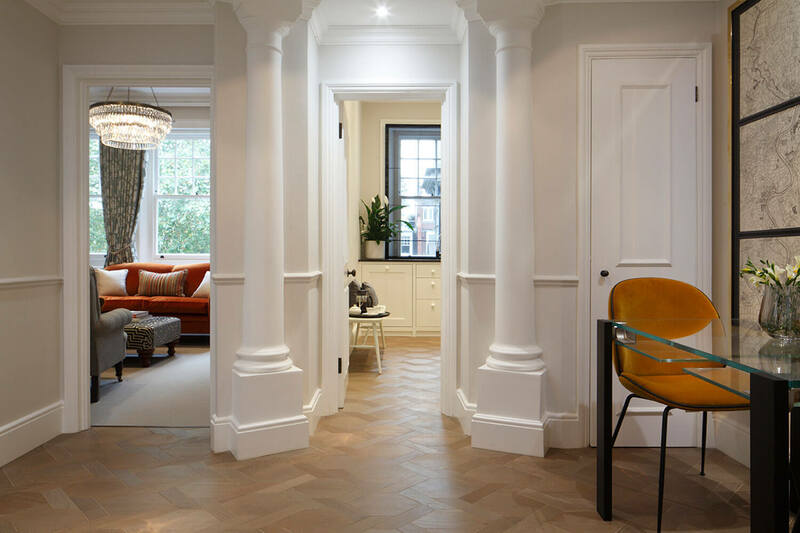 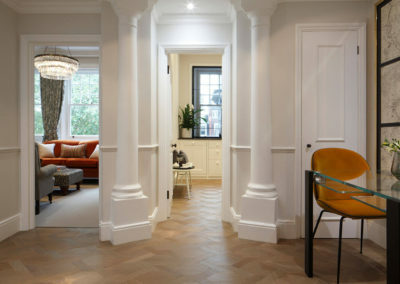 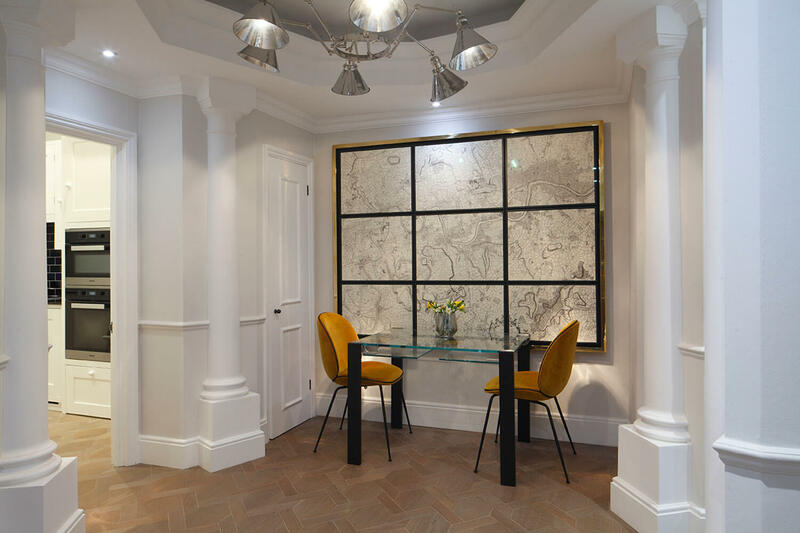 The intricate oak parquet floor added beauty and interest to the entrance hall. 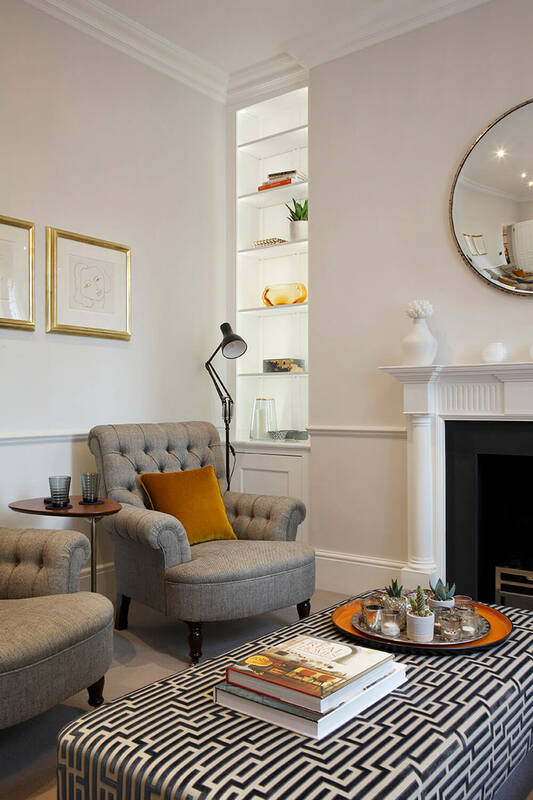 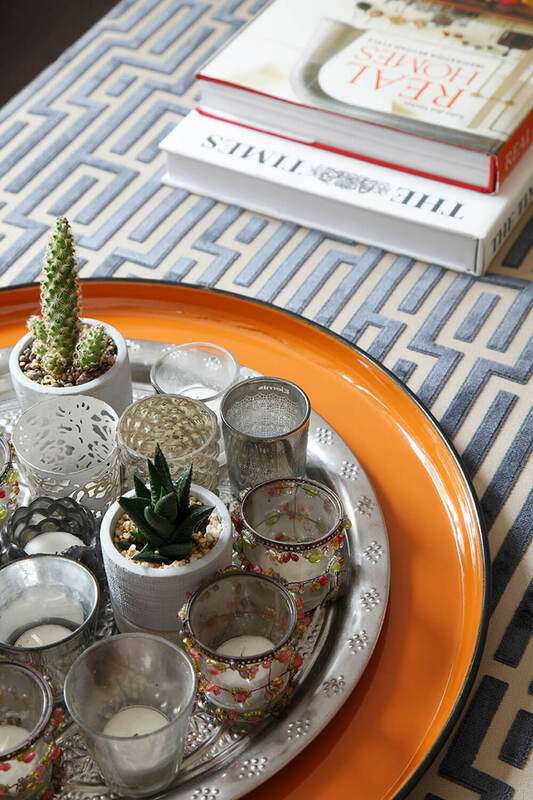 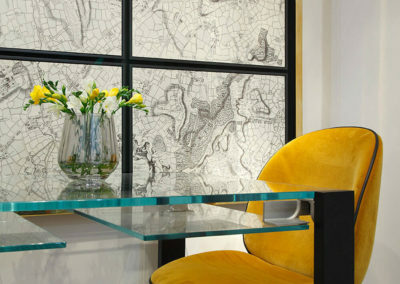 The apartment became a warm, welcoming and elegant space. 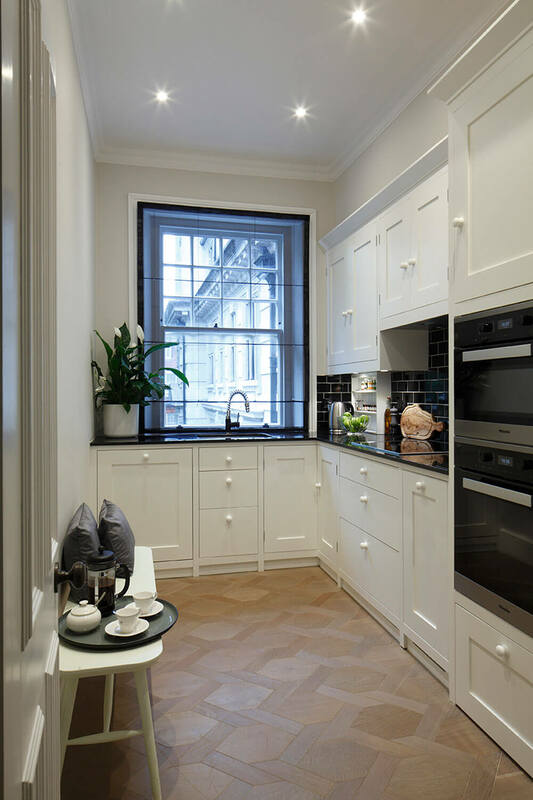 As we live in the USA, it was invaluable to have Nichola manage all aspects of the makeover, from the kitchen, bathrooms, floors and furnishings. 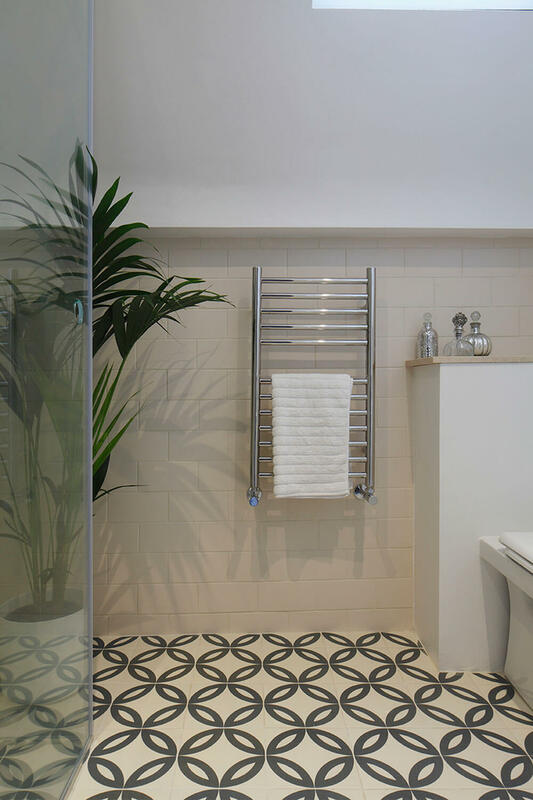 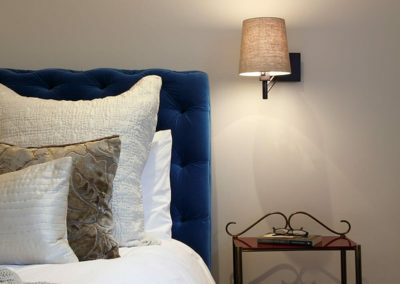 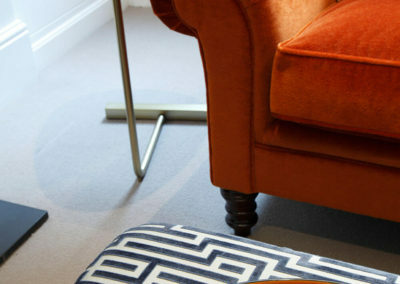 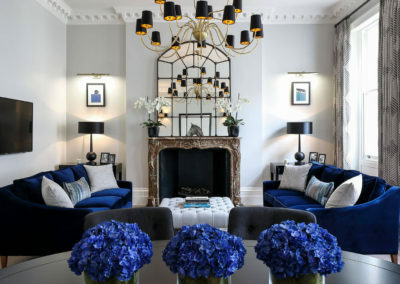 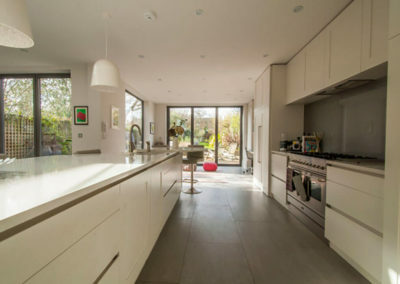 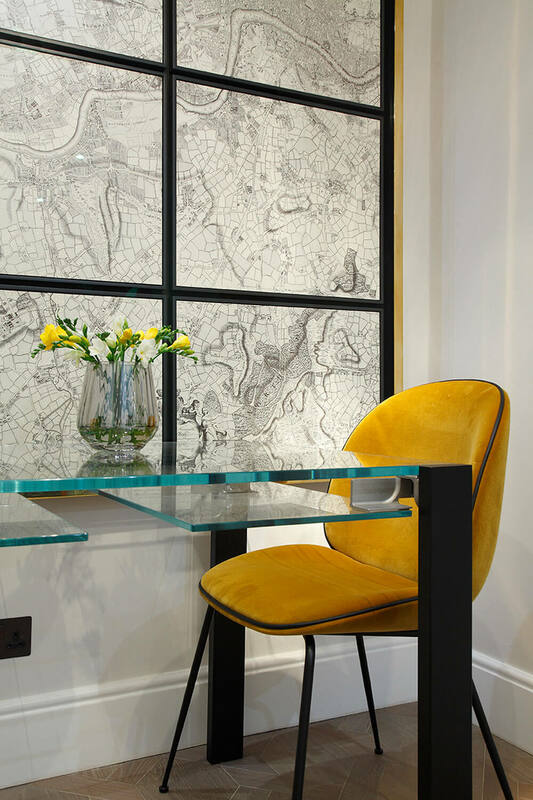 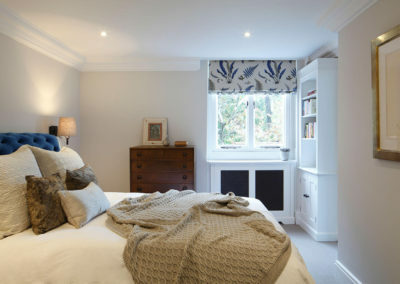 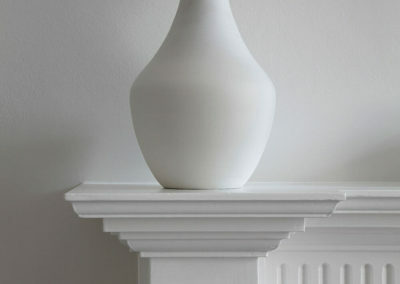 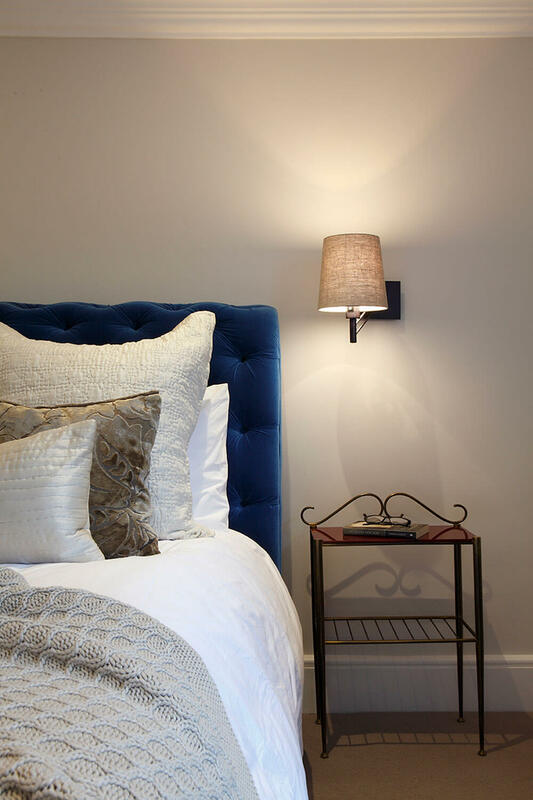 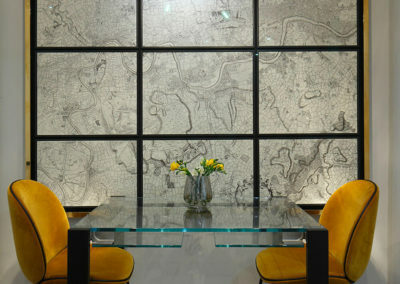 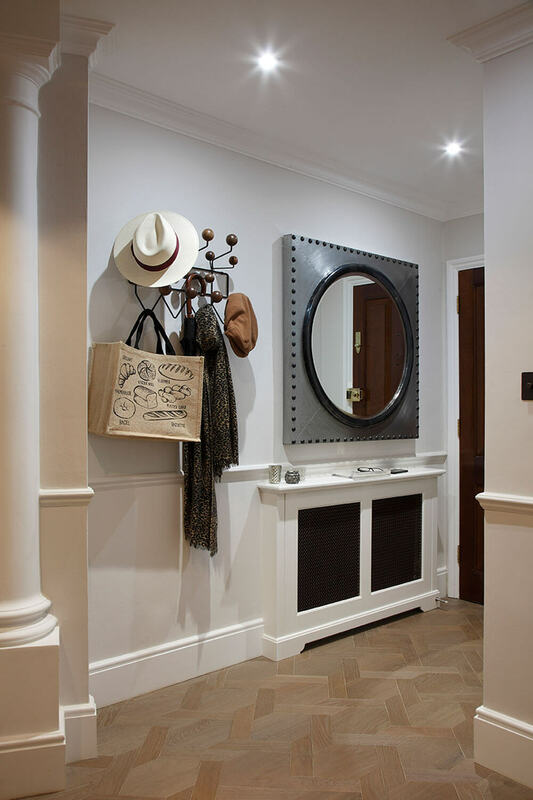 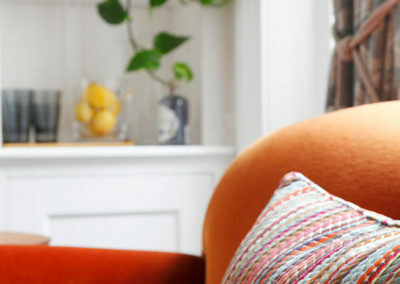 We highly recommend Nichola for conceptualising and executing a residential design project!